Posted on Saturday, August 18th, 2012 at 6:00 pm. 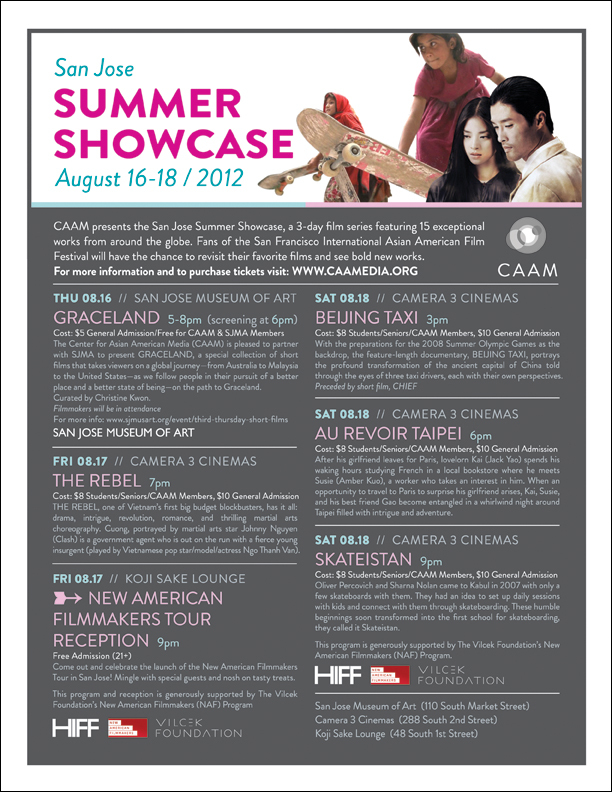 The Center for Asian American Media presents the San Jose Summer Showcase, a 3-day film series featuring 15 exceptional Asian and Asian American works from around the globe, from local shorts to international features. TaiwaneseAmerican.org is proud to co-present “Au Revoir Taipei,” a wonderful film by Taiwanese American filmmaker Arvin Chen. Email [email protected] with subject line “film tickets” by midnight on 8/15/12, and we’ll randomly select a winner for the two tickets to be picked up at will-call. Purchase pre-sale tickets here! Are you a CAAM Member? If so, enjoy special discounts!